The company also reportedly has a livestreaming version in the works. A delicate balance must be struck when using action cameras, between capturing your adventures and keeping your hands free. But with Orbi's 360-degree camera glasses, you might no longer have to make that choice. 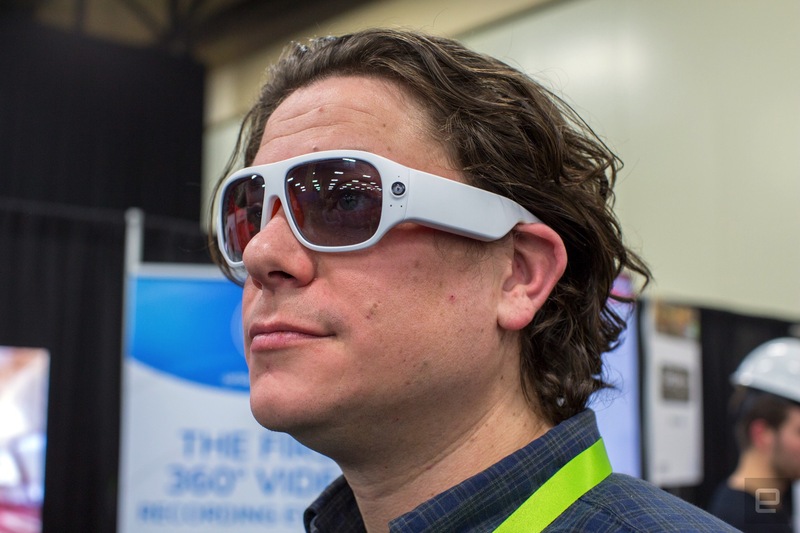 In development as a crowdfunding project since 2016, the Orbi Prime glasses are finally set to begin shipping, the company announced at CES on Monday. The water-resistant frames hold a pair of HD cameras at each temple and can record up to an hour of 1080p video onto the onboard microSD card between chargings. The Orbi's associated mobile and desktop apps enable users to quickly edit and stitch together their recordings, though the glasses also offer built-in WiFi so that you can share these videos without having to first offload them to a PC. The Orbi Primes are expected to begin shipping to IndieGoGo backers around August, according to a company rep, and will cost just over $400 once they do go on sale.